If you haven’t noticed yet, I would be surprised. My family is a little bit (OK……not so little bit) obsessed with cheese. We love all sorts of cheese so we always have a variety of cheeses on hand to make quick lunches. Cheese has lots of protein so it really helps in adding variety to school lunches without giving up on nutrition. My son is super picky. He doesn’t like too many vegetables and he has lots of texture issues. Sometimes I just want to give up, but of course I can’t do that. He is my kid and I want him to get as many nutrients into his body as possible. 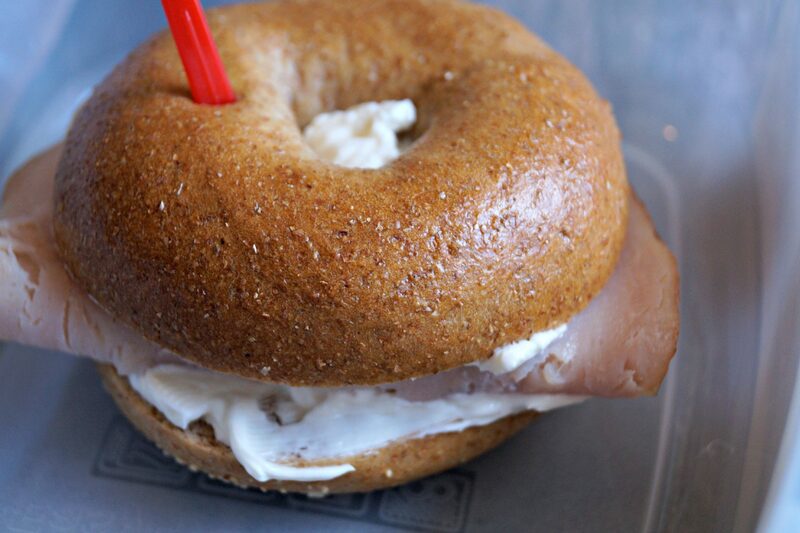 I noticed that when we would stop at the bagel shop he ordered a cream cheese and turkey bagel sandwich. I’m not sure where this idea came from, but I know his Daddy had something to do with it. I thought it seemed like a strange combination………….then I tried it. Super yum! The key with preparing my lunch recipes is the quality of the ingredients. They are all simple recipes that can be healthy with whole grains, protein, fruits, and vegetables. I try to avoid highly processed ingredients, but as I’ve found there are lots of definitions for “real food.” I try to follow my family’s rules of eating and observe the 80/20 rule of eating 80% real food. Although we don’t eat deli meat every day we do still eat it on a regular basis. I searched high and low and finally decided on two brands of lunch meat that I can live with. I like Applegate brand and the Hormel Natural Choice line of meats. Those are the two brands that our family uses on a regular basis. Neither one of these brands is paying for this post. I am open to offers though! Yes, that’s me laughing again. Why do I laugh at my own jokes so often? While I’m brand dropping, I’ll also let you know that I love Organic Valley cream cheese. So good! Once you try it you won’t want to go back to other brands. Split mini whole wheat bagel in half. Spread 1 Tablespoon of cream cheese on each half of the bagel. Fold turkey slices on to the bottom half of the bagel. 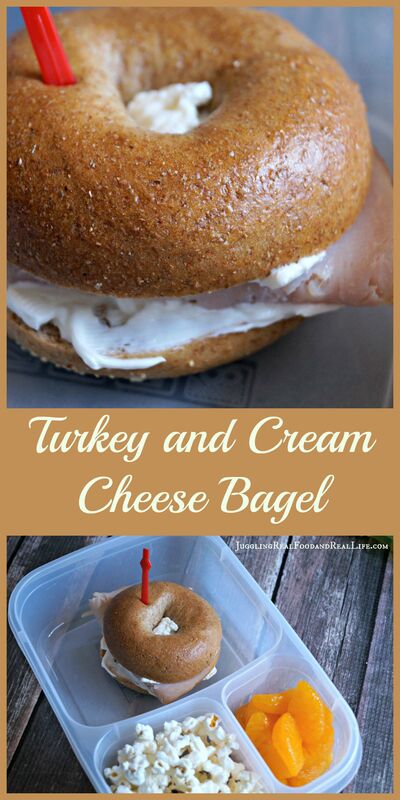 Put the top half of the bagel on top of the turkey slices. A toothpick keeps it together nicely for travel. There you go. My super picky kid version of a bagel shop favorite. I hope you enjoy it as much as we do. 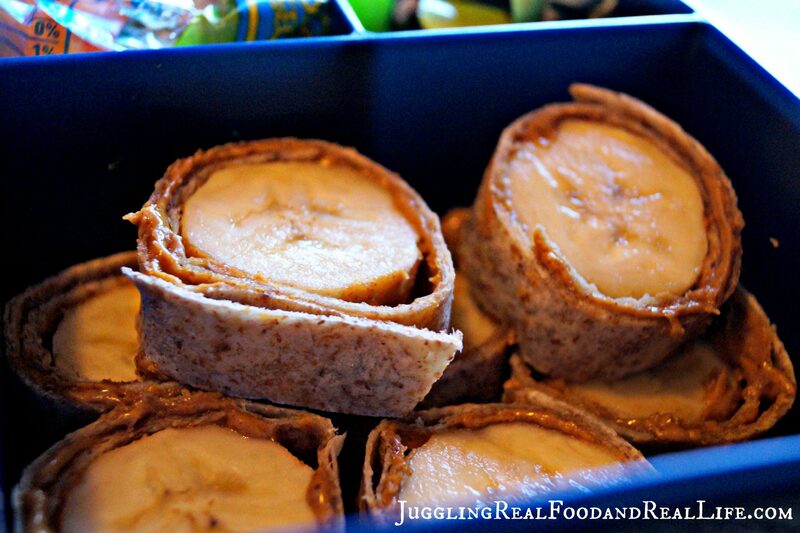 These are so easy to make that they get included in our meal plan often. Yes, I can even make this before I have had my morning coffee. Do you have favorite brands that you buy on a regular basis? How did you pick them? 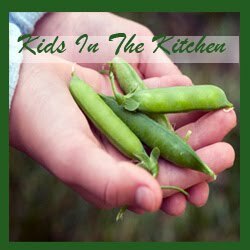 Do you have a kid that is a picky eater? Go ahead……tell me all of the stuff that they hate. Are you a picky eater? Is it flavor or texture that you have the most trouble with? Christina you always come up with the best lunch ideas! Lunch is the meal I struggle with the most…I have come to count on your healthy and nutritious ideas! Thanks Janelle! That really means a lot to me. I’m trying to bring the fun back to lunch time. I love it! 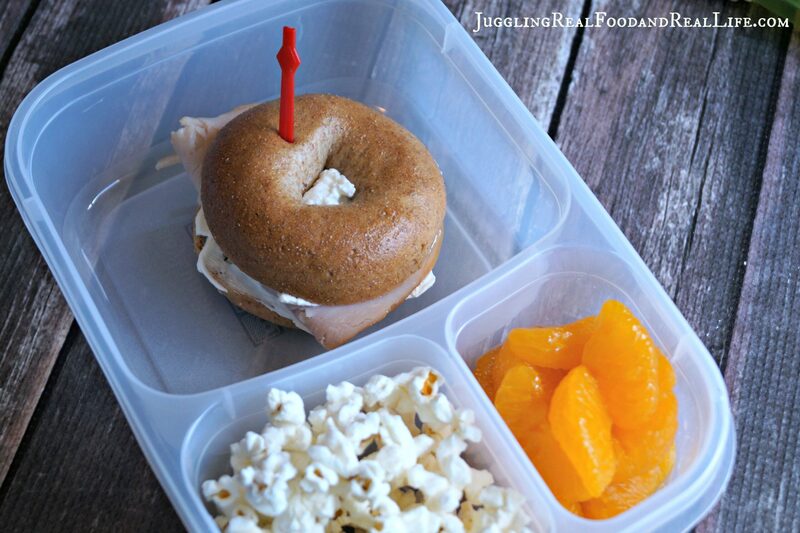 I’m trying to be better about planning meals ahead of time, so this would be perfect for lunch. My kids have food allergies and I’m pretty good about stocking things for them, but I’m terrible about having meals planned for my husband and me. We normally just scrounge around and throw something together (Oreos and kiwi, anyone?). Thanks! Just say “No” to Oreos and Kiwi. LOL! 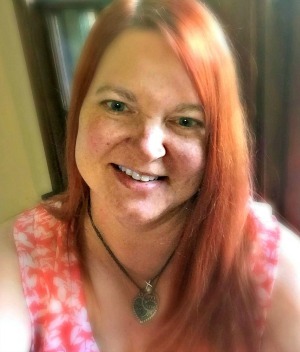 I can relate to planning for kids, but forgetting myself and my husband. We all need lunches so I decided to just start eating what the kids eat. Larger portions and more salads for me, but basically the same. It’s been a help to me until I can figure out another plan. Whatever the plan, you are more likely to stick to it and make less mistakes when you have it written down.